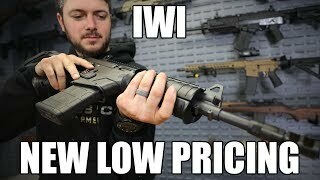 IWI GAP39SB: The modernized Galil Ace is based upon the reliable mechanism of the original Galil assault rifle, and continuous improvements have resulted in an extremely reliable and highly accurate Galil Ace. Modernizations include weight reduction due to the use of modern polymers, increased magazine compatibility, and a left-side charging handle (reciprocating) allowing for weak hand operation. The milled steel receiver is topped with a two-piece, full-length Picatinny rail, and it has a Picatinny style tri-rail forearm with built-in, slide on/off rail covers with pressure switch access. 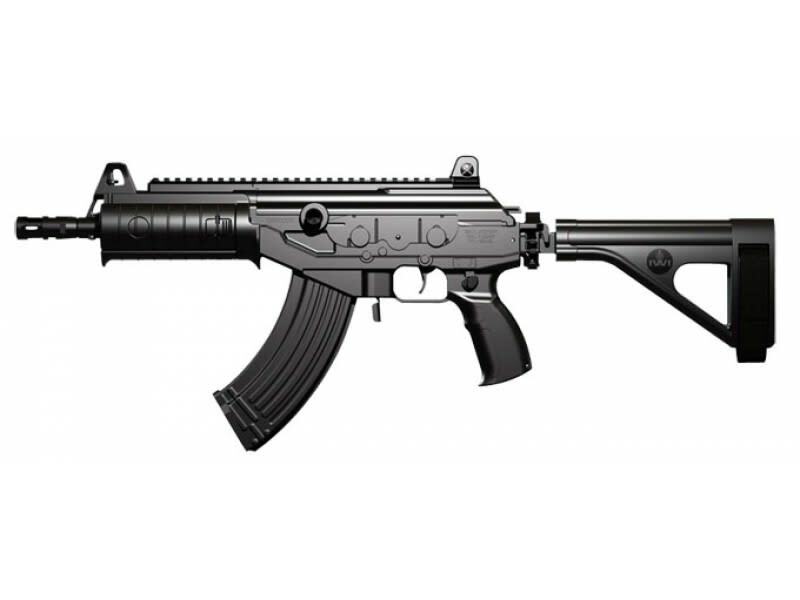 The Galil Ace features fully adjustable iron sights with a Tritium front post and 2-dot Tritium rear aperture. 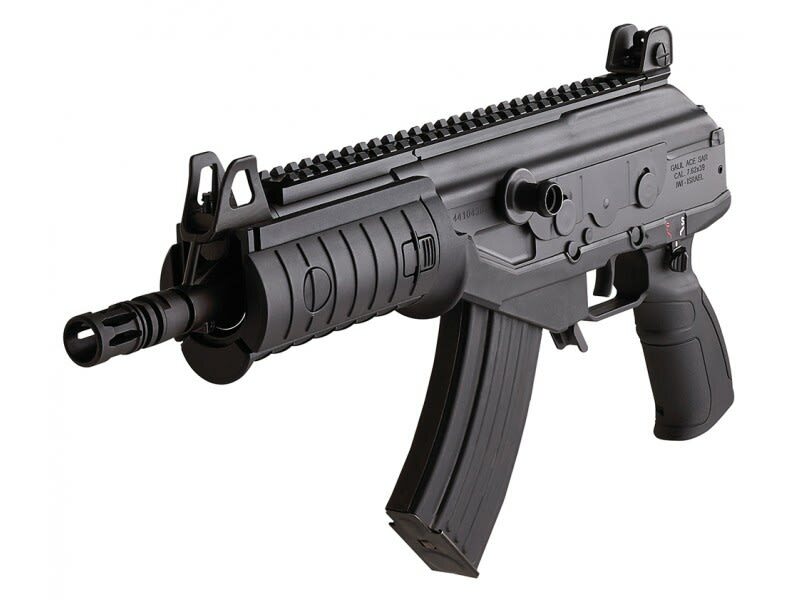 Galil Ace SB models feature a side-folding stabilizing brace (produced for IWI by SB Tactical). 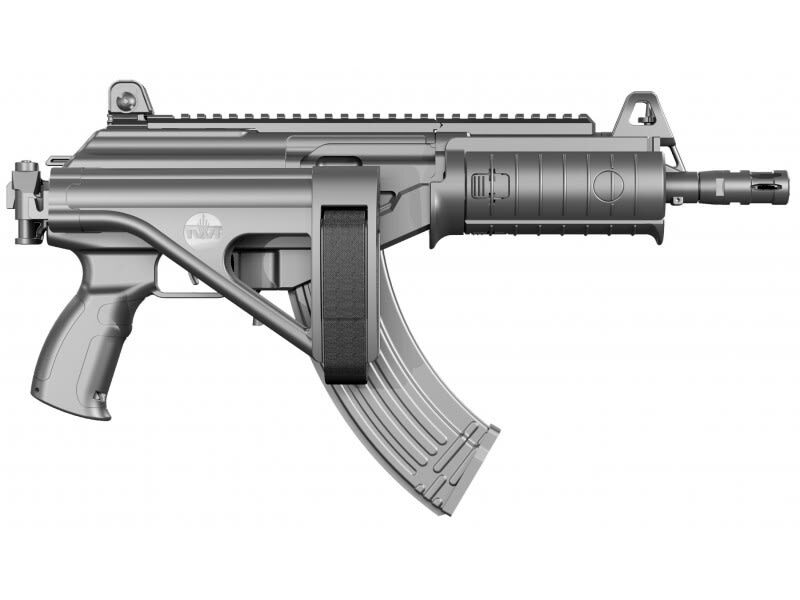 With the unique side-folding feature, the Galil Ace SB can be fired with or without the brace extended depending on the shooters need. With the brace folded, storage space required in your safe or range/rifle bag is minimized. 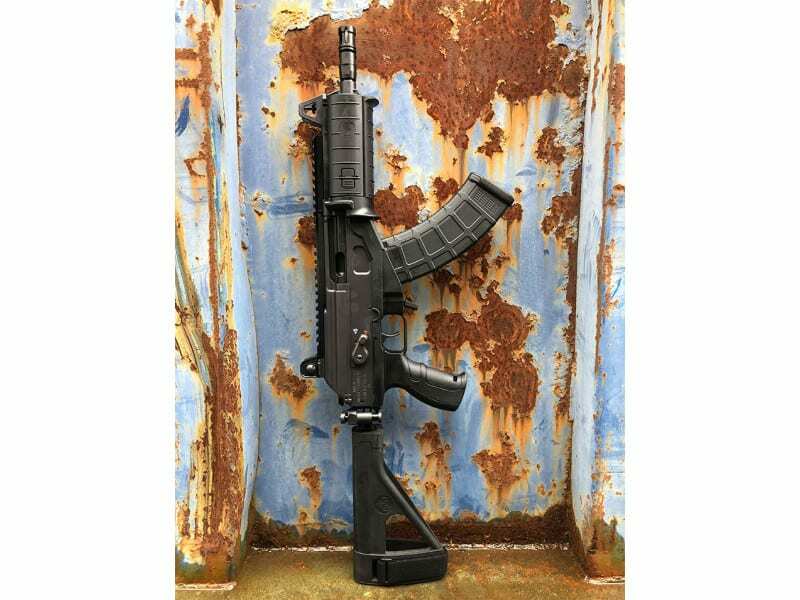 This model is chambered for 7.62x39mm ammo and is compatible with AKM/AK-47 magazines. It has an 8.3" cold hammer-forged, CrMoV, chrome-lined barrel with a 1:9.45" twist.